You can not only potentially save money by making your own curtains, but you can make them from matching or coordinating fabric to complement your bedding or room decor. 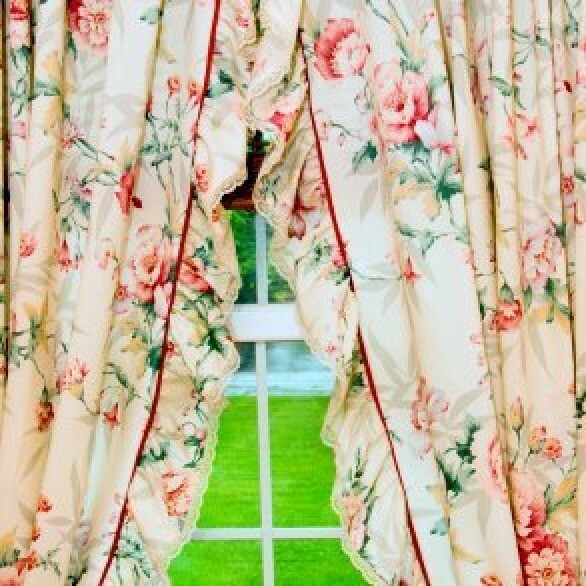 This page contains helpful ideas and instructions for making your own curtains. I need help making curtains for my new home. Does anyone have any ideas or helpful tips? The easiest, economical way to make curtains that I have found is to buy flat sheets. Usually two twin sheets or one queen sheet is enough for one window, depending on the style you want. Sometimes there is even a casing at one end of the sheet, so only minor sewing is needed with hemming, etc... One of my sisters loved the idea so much she bought 12 flat twin sheets and made curtains, table cloths, etc. White looks great in bedrooms, clean and crisp. Have fun! You can get tremendous bargains on yards of drapery and upholstery fabrics on eBay, usually the ends of bolts. One of my favorite sellers is crabdaddylonglegs (search title and descriptions.) He sells by a set amount, not just by the yard. I'm in the process of making my first curtains too. My mom filled me in that instead of sewing, just use fabric glue. She did this and made a curtain out of a kitchen towel. Alicia the sheet idea is something we use at our house as well. To save some money, shop for your sheets when they are on sale or a particular color/style/pattern (if not objectionable to you) is being clearenced out of the store. Usually measuring 1 & 1/2 times the width of your window gives a pleasant fullness to the coverings. If you want them to be fuller try 2 times the width. Another thing you might try are the inexpensive spring rods that sit inside the window frame. Slide the rod through the already available "pocket" that is the top hem of the sheet (the part at the head of the bed) and hang. Sometimes on better sheets this pocket is seamed shut, but a seam ripper or small pair of scissors could be used to carefully clip those threads. Also higher thread count or darker sheets would probably not need a lining. Good Luck!! If I have a 10 foot wide window, how wide would you make each panel? I know the rule of thumb is the curtain width should be 2 1/2 times the length of the window. I didn't know if it wasn't different with the drop cloth material. Thank you. With any fabric, the rule of thumb applies - unless you want super gathered curtains, in which case doubling that 'rule of thumb' measurement usually results in really good looking, privacy creating-light blocking (ish) curtains when closed. Be advised a drop cloth is usually fairly heavy and even standard gathering will create a heavy curtain panel - be sure your curtain rod (and the wall it's screwed to) can support the weight of what ever amount of gathering you choose. And what a great idea! I hope you'll upload snaps of your finished curtains! Since the drop cloth is so heavy would it be more feasible to have box pleats at regular intervals and use tape across the top to form a rod pocket? Two or three pleats per panel would give fullness without all that weight from gathering. This is a guide about making blackout windows with black plastic. 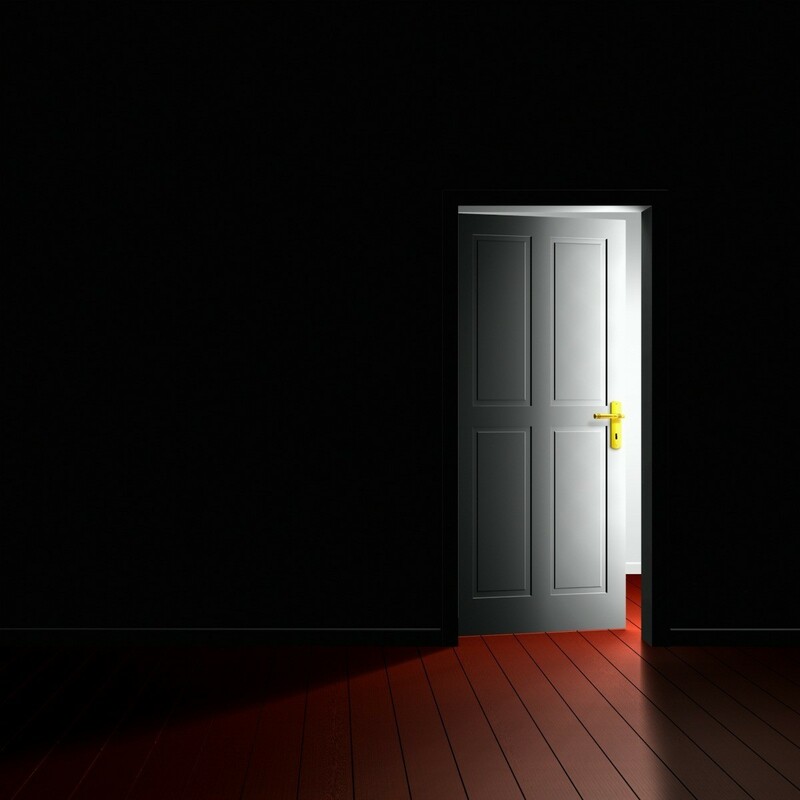 If you work nights or the full moon keeps you awake, you may want an inexpensive way to completely block out the light from a window. This guide is about making curtains from sheets. Fashioning bed sheets into curtains can save you money and give you the window covering you want. 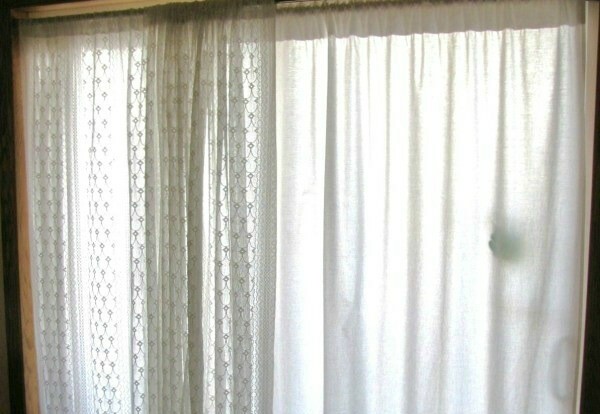 This guide is about frugal window curtains. Purchasing drapes, window curtains, or coverings can be expensive. 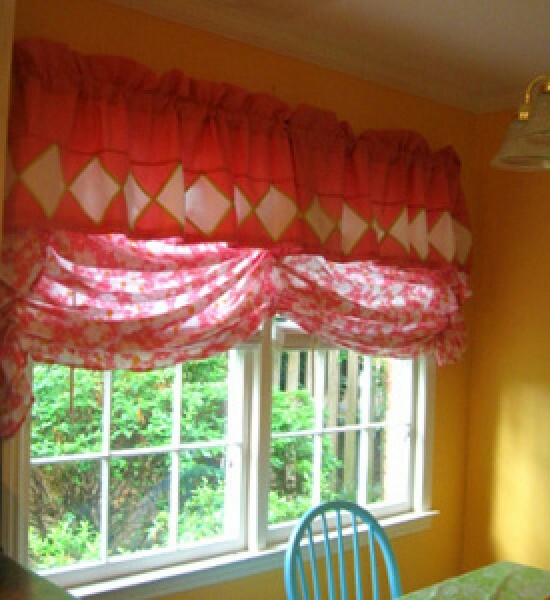 This is a guide about making curtains with grommets. 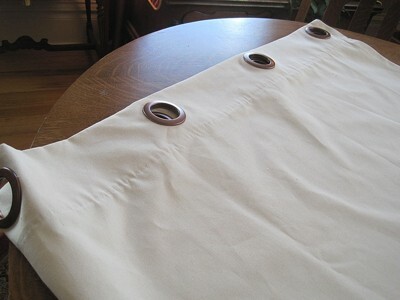 Making curtains with grommets is an easy way to create beautiful up to date curtains for you home. This is a guide about sewing your own curtains. 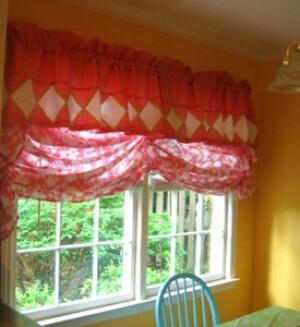 Making your own curtains allows you to choose from a myriad of fabrics, colors, and styles. It also can save you money.